Eyecon's latest slot is an action-packed ninja romp - brimming with free spins and wild rewards. And all of this is presented in a masterful 2D art style. 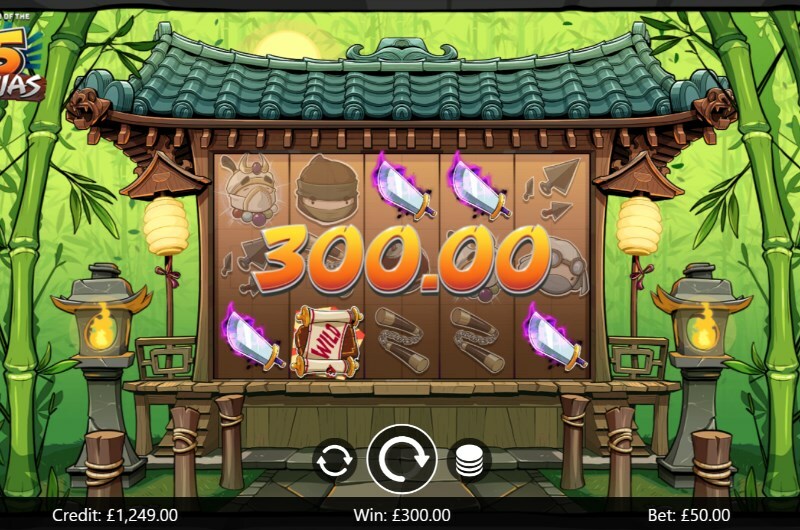 If you want to harness the mystical winning arts, read our Legend of the Five Ninjas slots review. To activate the main bonus round, you will need to match three of the Godai symbol. This will activate the Legend of the Five Ninjas slots free spins. Once activated, you will get to select from one of the five ninjas and a corresponding free spin reward. Hit the same combo of Godai scatter symbols again? Then you get to pick yet another free spins reward. Best of all is that the free spins can be triggered up to 15 times. Don't worry, you won't need to remember this - a number in the top corner will help you keep track. Remember that scroll of knowledge? It turns out that it also works like a wild symbol - how convenient! This symbol will act as a substitute for other symbols in a winning pay line combo. And this kind of symbol becomes especially valuable in a 243 ways to win slot. This Eyecon slot has a return to player of 95.2% and features medium volatility. This is a solid choice for virtually all player levels thanks to the blend of common and big wins. In terms of winnability, this slot puts plenty of rewards on the table - which you can experience with a Legend of the Five Ninjas slot no deposit bonus. The highest paying symbol in this game is the Godai scatter, which will pay 50x your total staked bet for a five of a kind match. There's also the high 10x default multiplier available during the free spins bonus round. Combine this with the 15 retriggers for some serious ninja win action. Ninjas, free spins and multipliers? We can't imagine a better combination. This slot is action packed with excellent graphics and gameplay elements. This is a stealth hit that is sure to floor you. 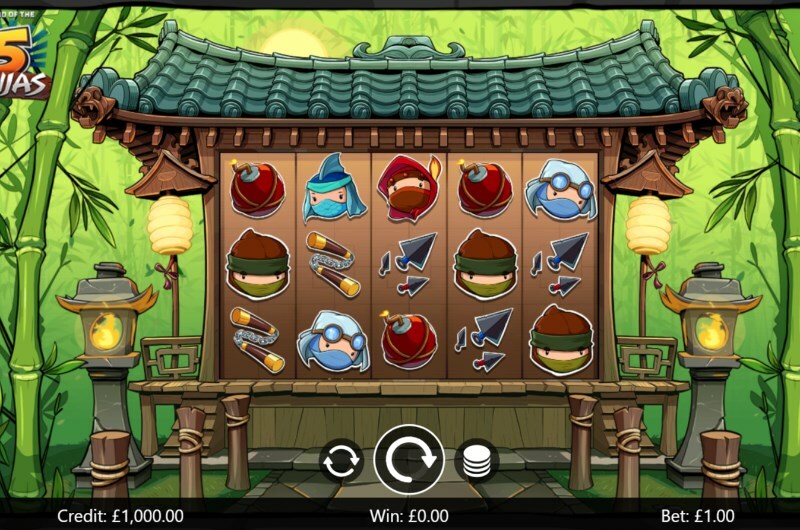 You can play Legend of the Five Ninjas slots right now at Pots of Gold Casino.